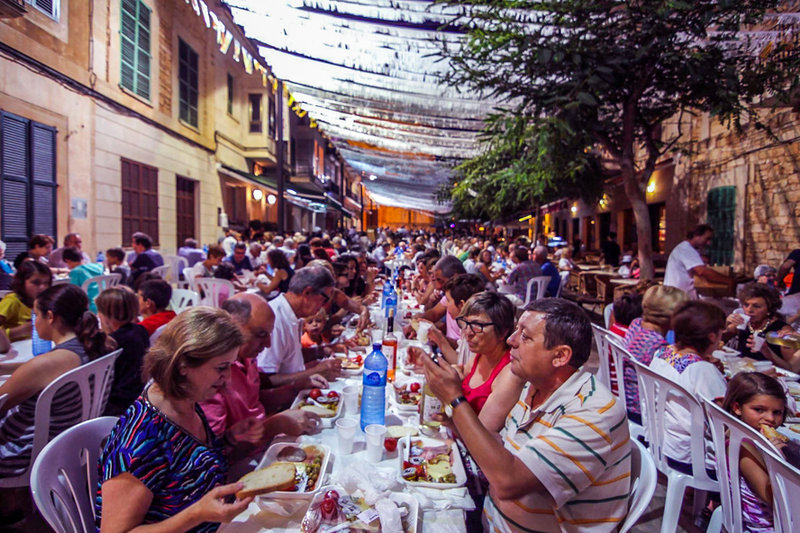 Santanyí has this wonderful habit of staging a Sopar de pa amb oli a la fresca every year on the occasion of the festivities of Sant Jaume, the patron saint of this pueblo. The event is organised by the Ajuntament de Santanyí and last Wednesday, 1,200 locals participated in this outdoors event. There were on offer embotits, tomàtigues and pa a voler, plus oli d’oliva and sal, as well as vi de Son Alegre, the only wine produced in Santanyí, plus aigua, coca and gelat. The photo was taken in Santanyí by guest photographer, John Hinde. The date: July 23rd, 2014. Thank you.